This gorgeous braid and a bouquet of amazing flowers will make you the queen of the party. The following mesmerizing headdress looks exceptionally gorgeous on women with medium to a bit longer hair. If you don’t like the combination of the braids, make sure to create your favorite combo. It is one of the easiest ways to take your hair out of your face. 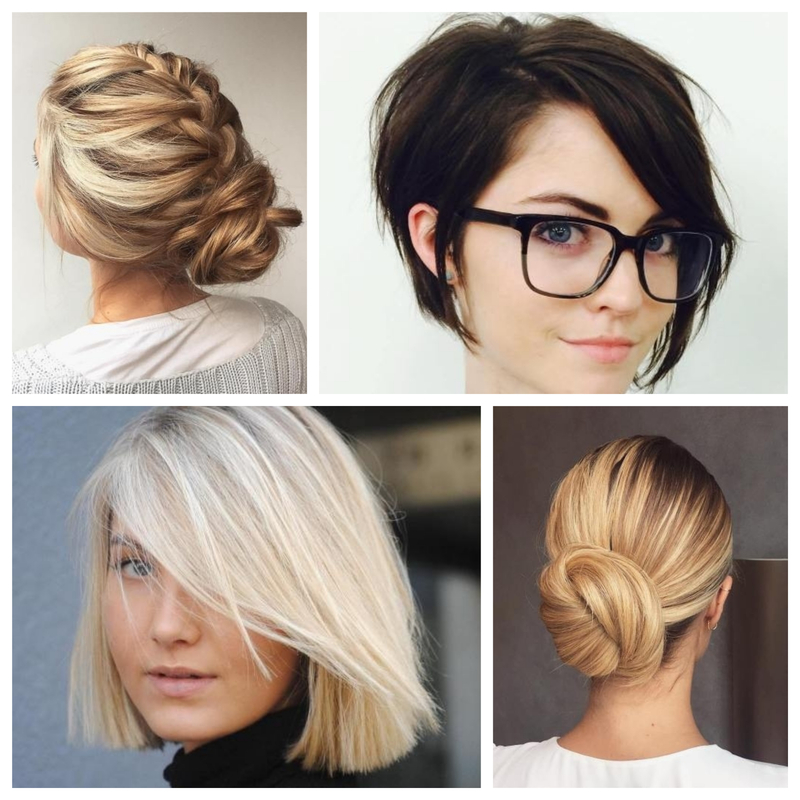 Let’s start with a hairstyle for long-haired ladies. Sometimes it is really hard to deal with long hair, but the options of hairstyles are countless. This braided updo is just one of those numerous styles that you can try. It requires nothing more than dividing your hair into two parts, plaiting two different Douch braids. 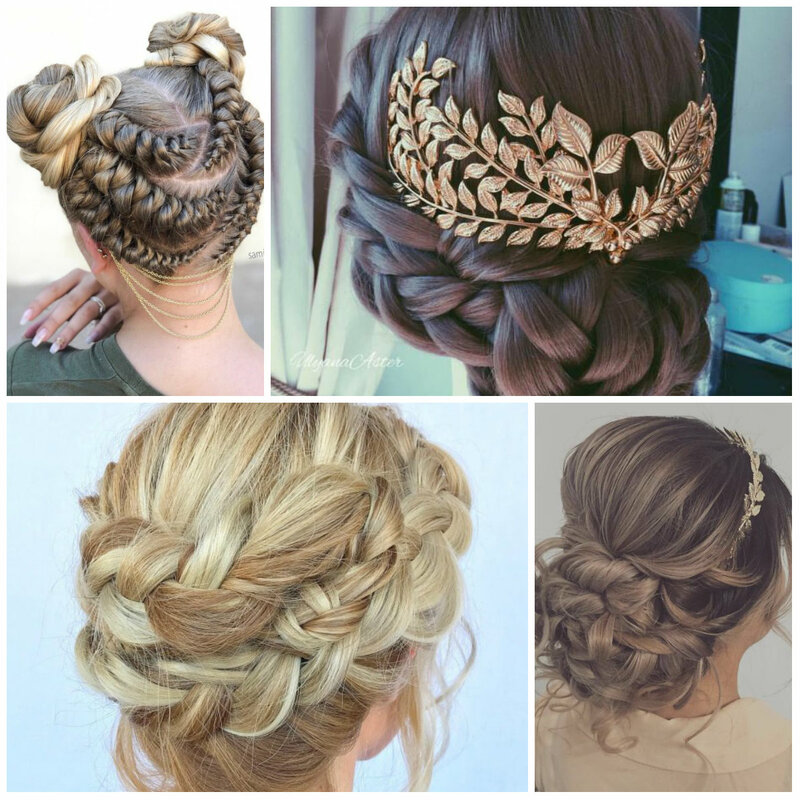 Then you will need to connect the braids and tie them into a gorgeous updo. Hair highlights throughout your locks will definitely enhance your look. Strategically placed hair beads will take your braids a notch higher. Combine the braids with golden extensions to create a highlighted effect. Then you will want to pull your hair up and secure in a high ponytail. It is a complicated style so it will be better to ask your hairstylist for some help. 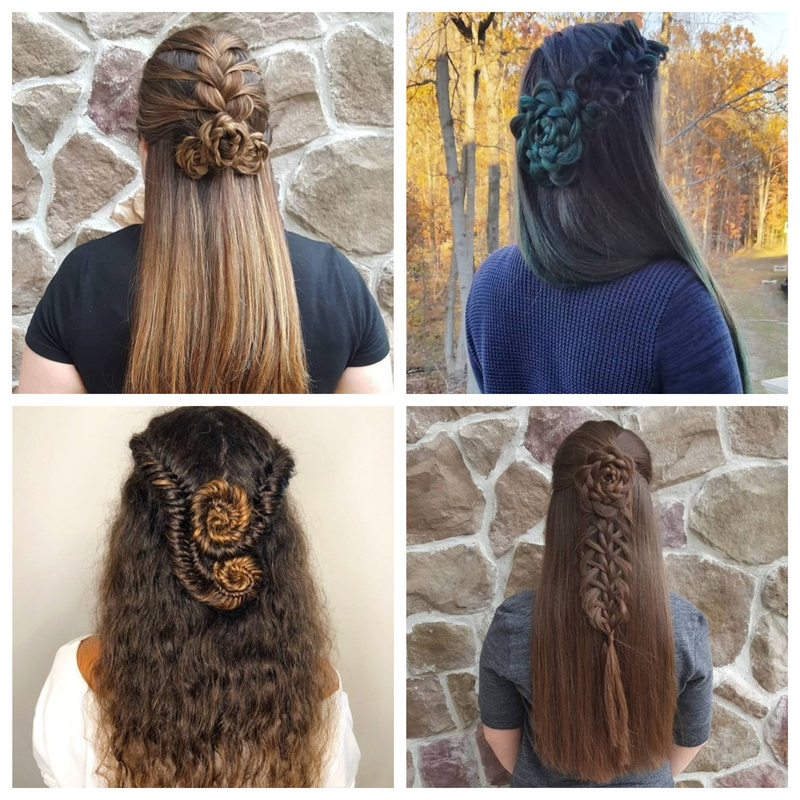 Don’t forget about beads that completely change up this braided hairdo. This hairstyle is first on our list. Obviously not everyone can wear a hairstyle like this, but it is a great style for all those brave heart ladies out there. 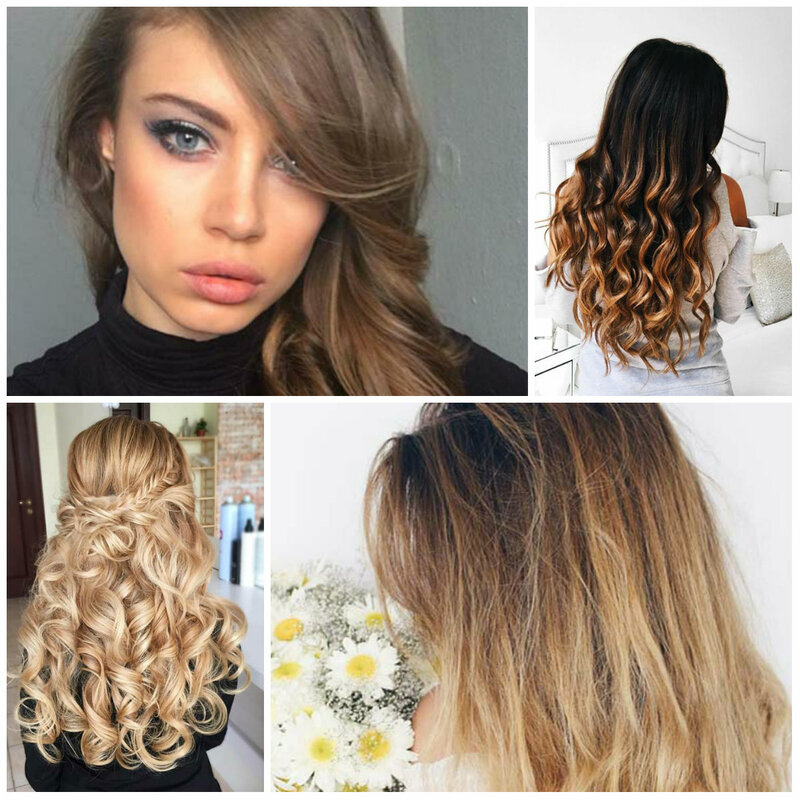 Well, the style features medium-length strands that are curled and swept to the side. The headdress perfectly shows off this model’s beautiful tattoo patterns. Apart from it, a bold grey hair color is also striking. It requires bleaching the strands before applying the tone. The one thing that you should definitely have in your accessory-box is a golden leaf back headpiece. It’s absolutely amazing to see how this leaf transforms a simple low bun into a chic Greek Goddess Inspired hairstyle. In fact, the style is easy to achieve when you have required details. You can wear this sophisticated low bun everywhere- from prom to your Big Day. The greatest thing about long curly hair is that they make a fabulous canvas for various ombre designs. Here is a great example that proves my words. Thus, it’s a dark chocolate and caramel ombre that is paired with carefree and natural-looking curls. Note that the base is quite dark and it gradually gets lighter towards the tips. 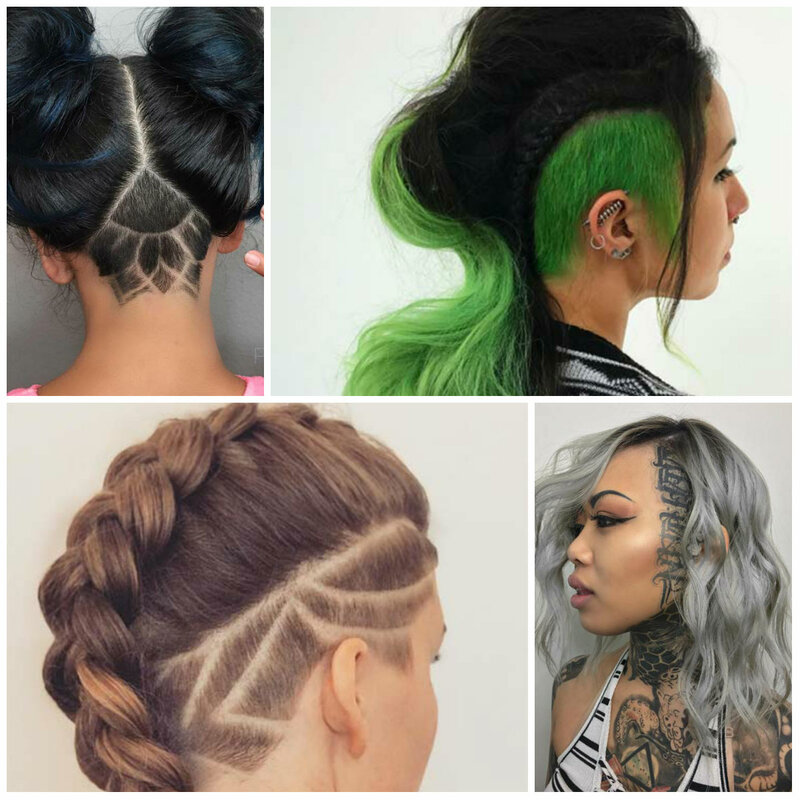 No rockstar babe will reject the beauty of this mind-blowing hairstyle. 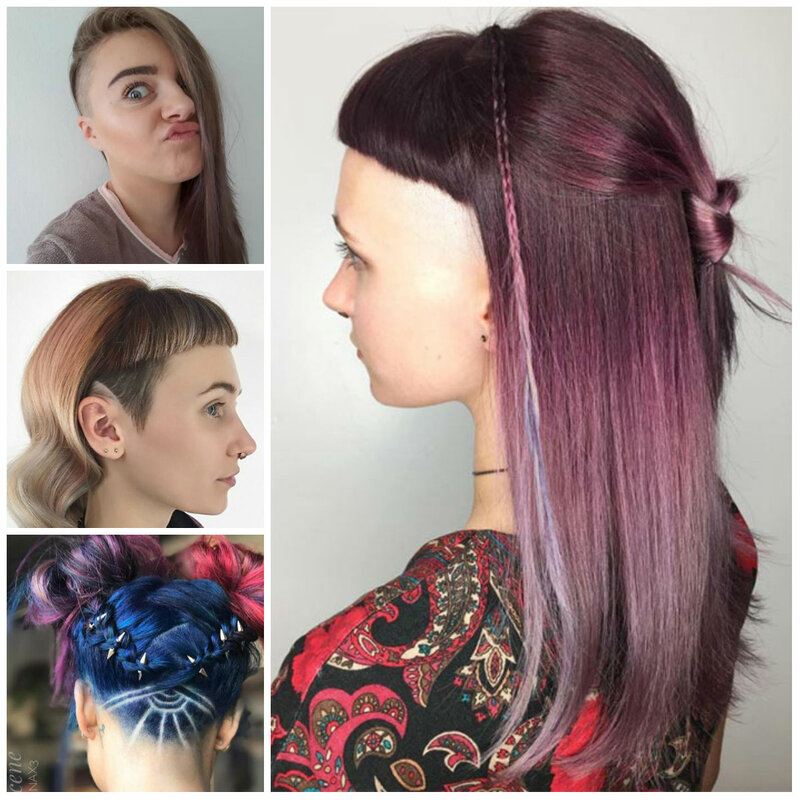 The grungy look features short cut bangs and nape-based undercut. The long hair allows you to conceal it easily. 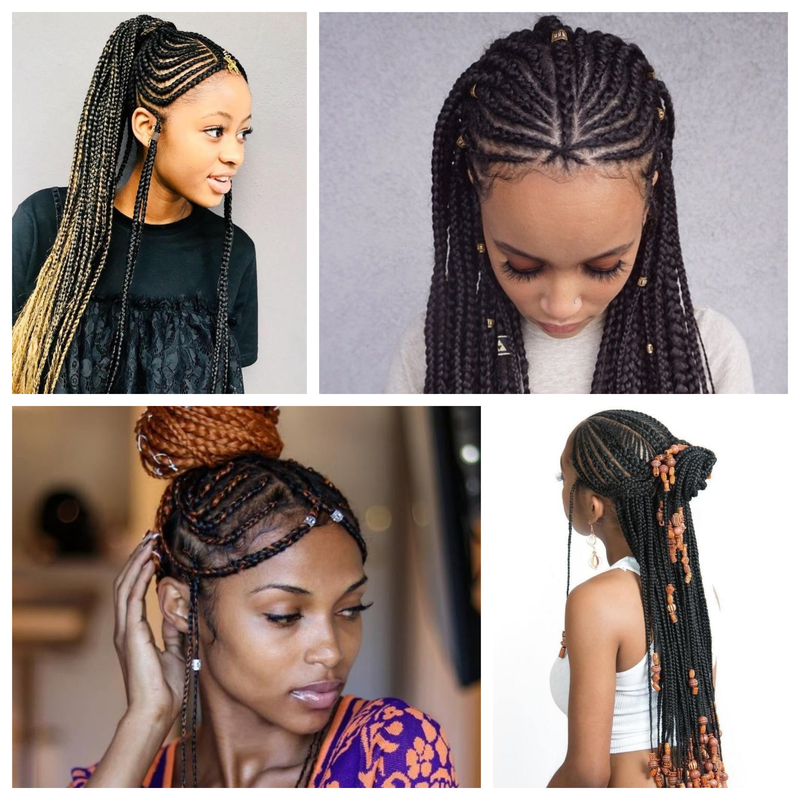 You can introduce some mini braids into the style to make it more daring. Consider to finish the style with a statement chocker to make your image complete. 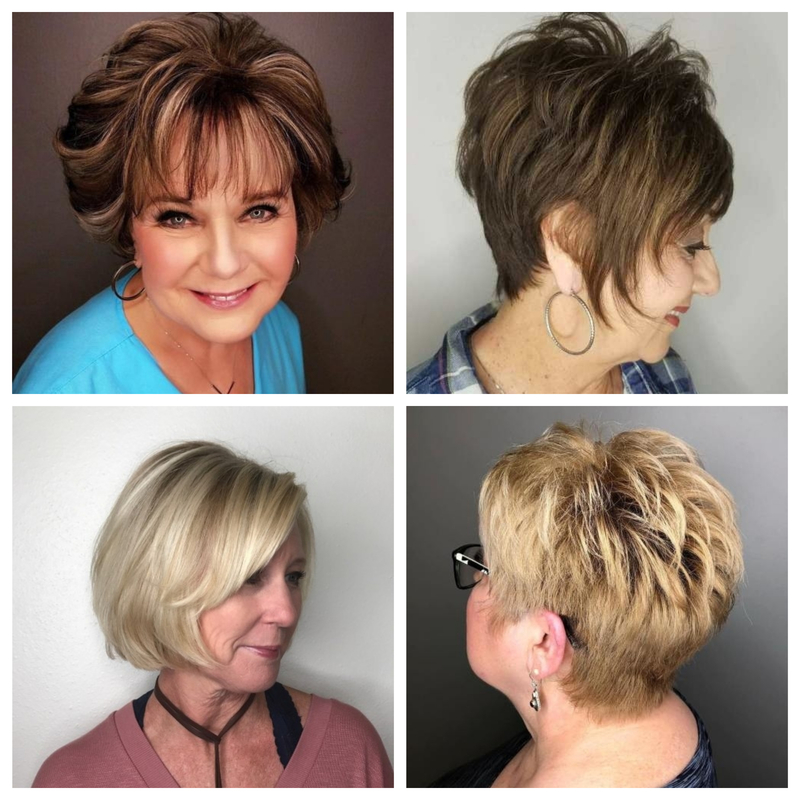 Short pixie styled with side bangs is just beyond gorgeous and it’s impossible not to be envious. Apart from being ultra-feminine this style is also very easy to achieve. Apply some shine serum into your pixie with your fingers for a sleek and polished look. Pixie is a low maintenance haircut so it doesn’t require lots of styling products or tools.